JNJ has committed $35 million in hopes to knock the HIV transmission to below 5%. This article is provided in partnership with Johnson & Johnson. It was written by Hallie Levine originally published here. The HIV/AIDS crisis first made headlines over three decades ago, but despite the fact that significant strides have been made in treating people with HIV since then, more than one million people still die of AIDS every year. Over the past 25 years, Johnson & Johnson has remained committed to helping eliminate HIV, from developing six transformational HIV medicines to launching initiatives around the globe to help reduce the burden of HIV in women and children. But their work is nowhere near done. In 2014, Johnson & Johnson launched their Global Public Health (GPH) group, which is focused on addressing unmet health needs around the world. One GPH area of focus is developing holistic, sustainable and measurable solutions to tackle HIV, in partnership with governments and both private and nonprofit organizations. So ahead of the 2016 International AIDS Conference in Durban, South Africa, in July, Johnson & Johnson took a look at the many advances they have made to help end AIDS—including a preventive HIV vaccine. Below are five steps on the path to ending AIDS, and how Johnson & Johnson is leading in every way. 1. Create a world in which every baby is born HIV-free. Each day, some 600 children are infected with HIV, and almost 90% of them live in sub-Saharan Africa. But while transmission rates from mom to baby can be lowered to under 5% with such interventions as antiretroviral treatments, about half of HIV-positive pregnant women don’t receive medication or information about how to prevent infecting their infants. Since 2003, Johnson & Johnson has committed more than $35 million to partner with the Elizabeth Glaser Pediatric AIDS Foundation (EGPAF), mothers2mothers, Born-Free Africa (BLC), Spark Health and Global Health Corps to work together toward eliminating mother-to-child transmission. Their partnership with EGPAF alone has reaped dramatic results: Mother-to-child HIV transmission in Zimbabwe, for example, has fallen from 40% to 5.3% since 2003. 2. Ensure that everyone with HIV has access to medication. In 2012, they also volunteered not to enforce their patent on one of their HIV medicines in sub-Saharan Africa and in the Least Developed Countries, so those in need can readily access drugs. In addition to this, they reached licensing agreements with several companies to make sure that generic versions of other medications can be made available at affordable costs in more than 100 countries. 3. Simplify treatment regimens for patients. Patients with HIV need to stay on a consistent treatment regimen to keep their viral counts low, but it can be hard to adhere to daily dosages, which is why they ramped up efforts to develop the first long-acting, injectable anti-retroviral treatment for HIV. By combining two HIV medications into one dual regimen the hope is that, if successfully developed, the combo could offer people living with HIV an option to receive six or 12 treatment injections per year, rather than having to take three pills a day. 4. Empower women and girls to protect themselves against HIV. Women and girls are disproportionately affected by the HIV epidemic, especially in sub-Saharan Africa, where females are twice as likely as males to be HIV-positive. As part of their commitment to help women in need, they became a major partner last year in the DREAMS (Determined, Resilient, Empowered, AIDS-free, Mentored, Safe women) initiative. 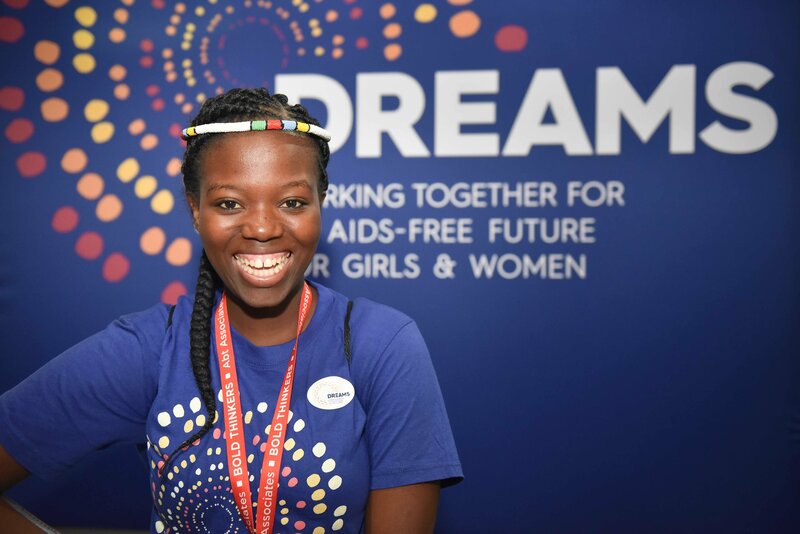 It’s a partnership between the U.S. President’s Emergency Plan for AIDS Relief (PEPFAR), the Bill & Melinda Gates Foundation, Girl Effect and others to dramatically reduce HIV infections among teenage girls and young women in 10 sub-Saharan African countries by 2020. Johnson & Johnson is providing up to $15 million in funding and in-kind contributions to support programs aimed at teaching adolescent girls how to protect their health and ensuring they have improved access to prevention and treatment options. They are also researching new prevention options for women. In 2004, they partnered with the nonprofit International Partnership for Microbicides (IPM) to develop a vaginal ring containing an HIV medicine that could potentially help prevent the sexual transmission of HIV. Two large phase 3 clinical trials have shown that this approach significantly reduced HIV incidence by more than half among women over the age of 21. 5. Continue the progress on developing an HIV vaccine. To that point, they are working with several partners—from the National Institutes of Health (NIH) to Beth Israel Deaconess Medical Center—to develop an HIV vaccine that works by first priming the immune system to fight the virus, then boosting it again for an even more potent response. The results are promising: Last year, they published a study in the journal Science showing that it offers significant protection against HIV infection. When they administered the vaccine to non-human primates, then exposed them six times to the simian immunodeficiency virus (SIV)—a disease similar to HIV that only infects non-human primates—about 60% remained disease free, suggesting the vaccine could ultimately protect against HIV in humans. And this year, they took another bold step in their vaccine efforts with the launch of an international study of 400 volunteers around the world to evaluate a similar vaccine in humans. The results of this research have the potential to be game-changing for communities at risk of HIV worldwide—and they can’t come soon enough.